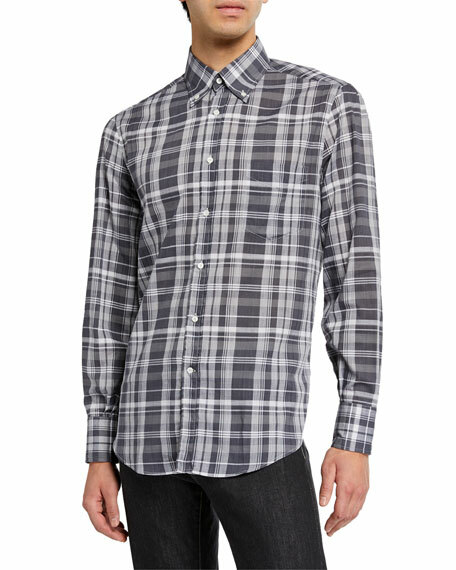 Ermenegildo Zegna woven sport shirt in plaid. 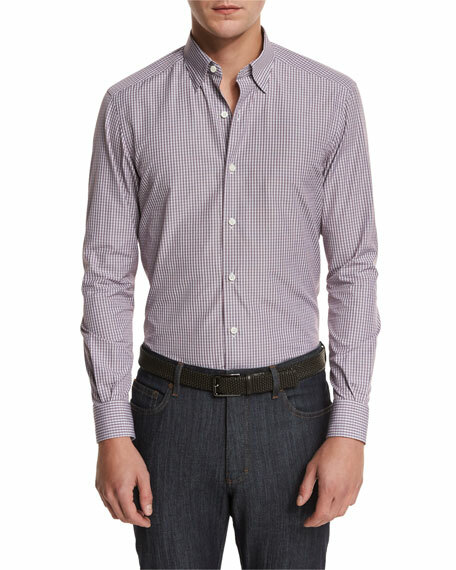 Point collar; French-placket button front. Model's measurements: Height, 6'2"/188cm, Suit 40L, Shirt 15.5 (39cm), Waist 32"/81cm, Inseam 34"/86cm. For in-store inquiries, use sku #1967732. A.P.C. sport shirt in stripe woven design. Spread collar; button front. Chest patch pocket. Long sleeves. Barrel cuffs. Shirttail hem. Cotton/polyethylene. Made in Italy. Beams Plus sport shirt in madras woven detail. Spread collar; button front. Chest flap pockets. Short sleeves. Shirttail hem. Cotton. Imported. 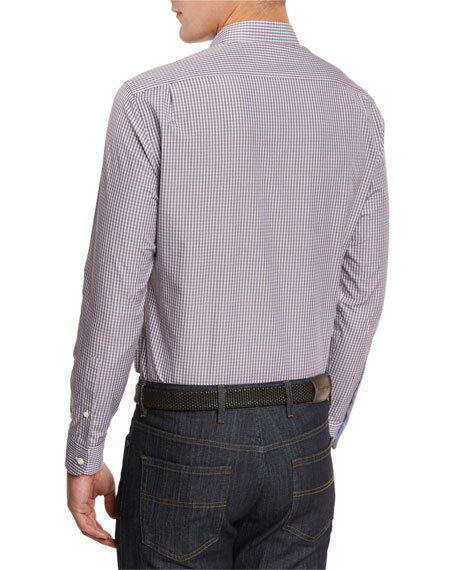 Brunello Cucinelli sport shirt in Madras plaid. 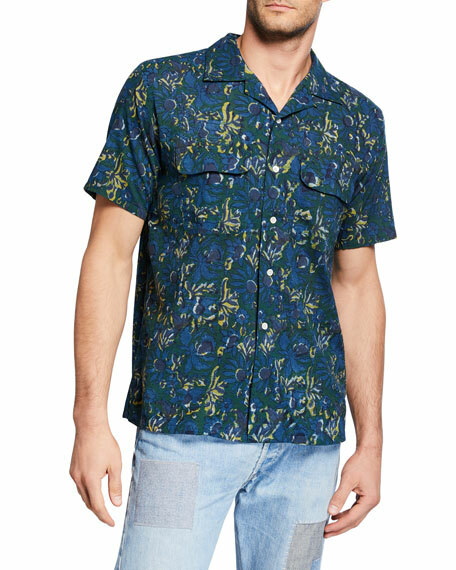 Button-down collar; button front. Double barrel cuffs. Patch pocket at left chest. Shirttail hem. Cotton. Made in Italy. 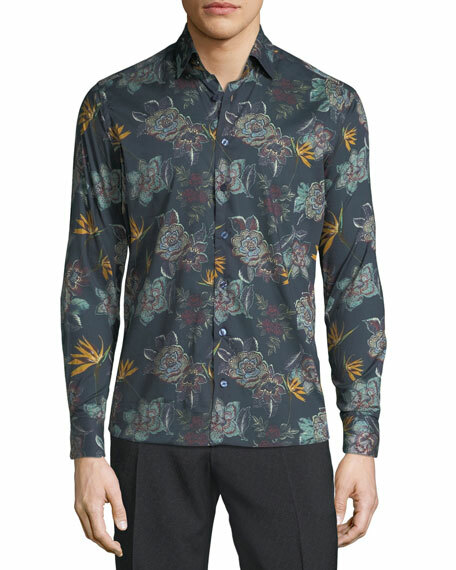 Etro sport shirt in oversize floral woven design. Spread collar; button front. Long sleeves. Mitered cuffs. Shirttail hem. Cotton. Made in Italy.